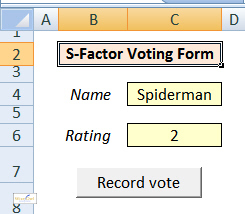 When you fill in the name of your superhero and give him (or her) a rating, you can then click on the button to run a macro to record this vote. 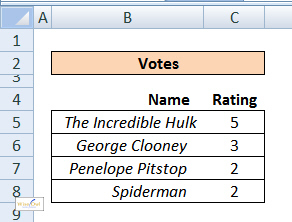 The list of votes cast so far. With this example in mind, let's first find out what a variable actually is.